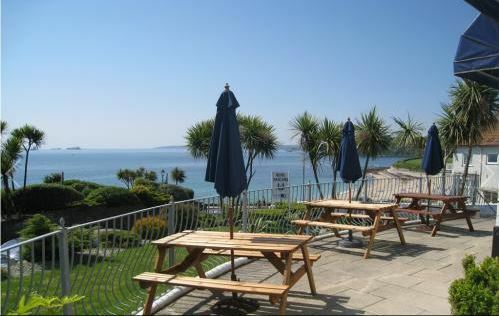 The Anacapri has stunning views over Falmouth Bay, and is located opposite Gyllyngvase beach and a short distance from the town, harbour, Maritime Museum and Pendennis Castle. This lovely guest house has a lounge, bar, sun terrace and car park. All bedrooms are fully en-suite with single, twin, double or king size beds, bath or shower, complimentary tray, free view TV, hairdryer and central heating. All rooms now have Wi-Fi. We have a licensed bar for you to enjoy and offer a range of accommodation to suit different needs. The Anacapri Guest House has two car parks within the grounds. 12 of the Anacapri’s rooms have sea views. 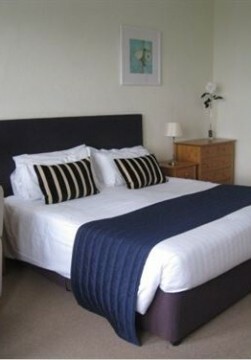 The Queen room on the first floor has sea views with en-suite bath/shower room. Superior /Double and Twin ensuite rooms on the first and second floors also have sea views. Standard double and twin en-suite rooms are inland facing on the first and second floors. Single ensuite room on the second floor faces the patio garden. All rooms have wi-fi flatscreen, TV, hairdryer and all usual amenities. Enjoy our licensed bar, lounge & sun terrace. The Anacapri has a great location in Falmouth, and is ideally placed for exploring the coastal footpath, surrounding countryside and the wealth of attractions that Cornwall has to offer.